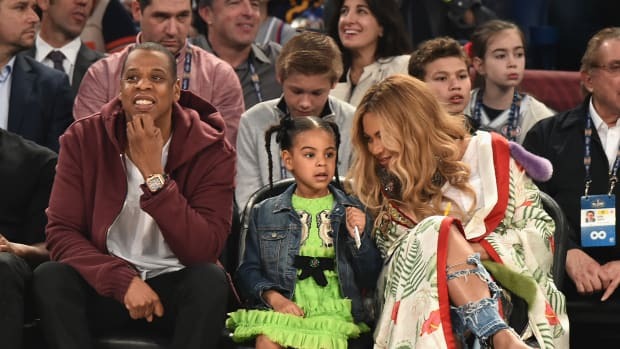 Meet Beyoncé and Jay-Z's Daughter, Blue Ivy--FINALLY! This is worth interrupting fashion week over. There are finally pictures of Blue Ivy Carter! Jay-Z posted them on his website, Life + Times last night. If this baby grows up to be as beautiful as she is in these pictures (and newborns are usually sort of funny-looking), she is going to be a stunner. She obviously inherited Beyoncé&apos;s hair. And speaking of Beyoncé&apos;s hair--is that what it looked like while she gave birth? Wow. Many congrats to the proud parents. Click through the gallery below to see more. Plus, Jourdan Dunn reveals her athleisure collection with Missguided.